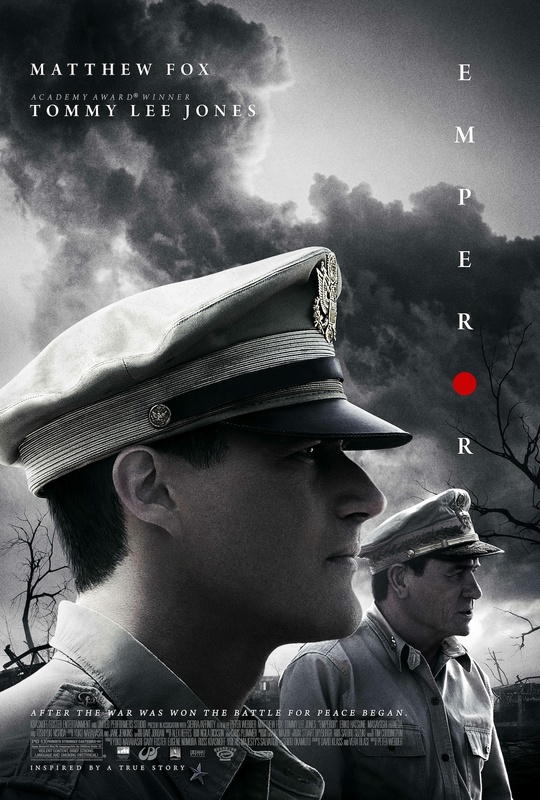 Interesting slice of World War II history has Tommy Lee Jones and Matthew Fox (“Lost”, “Vantage Point”) assigned to help rebuild Japan after the war and bring Emperor Hirohito (Takata rô Kataoka) to trial for war crimes. It’s a minor picture for sure, with a great performance by Jones, who is definitely the best thing in the movie. But then the story takes an unexpected turn and focuses entirely on Fox’s character, who uses this opportunity to find out what happened to the Japanese woman he fell in love with before the war. Director Peter Webber’s (“The Girl with a Pearl Earring”) first film since 2007’s “Hannibal Rising” is nicely done and filled with some sweet visuals, even as the story tends to drift into melodrama. But if you’re curious about this particular period of time or these historical characters, I’d encourage to check it out.